Affiliate marketing today is an established, effective marketing program that provides an additional sales channel for your business in a cost-effective way. Whether you are a business looking to start an affiliate marketing program, or one who has already dismissed the idea, you have probably heard many myths about the affiliate marketing industry that have influenced your views. Understanding the reality of affiliate marketing is important, especially in today’s competitive global markets, as you may be missing out on a lucrative sales channel because of something that may not be true at all. Affiliate marketing is a huge opportunity for businesses of all sizes, providing a new sales channel with little of the investment costs traditionally associated with a new market, so here are some myths you may have heard, and why you should ignore them. If there is one myth to rule them all it is this one. Affiliate marketing only works with high-value products in high-volume markets. This idea may have put off thousands of businesses, who think their product doesn’t have the volume, or that the profitability is too low for affiliate marketing. While the larger the market the better, of course, some affiliates are able to create success even for small niches. As long expectations are correctly managed, including realistic sales goals, affiliate marketing can be used for practically any offer. Affiliate marketing is perfectly scalable since it is a branch of performance marketing. It favors quality over quantity. A company is only paying for the effect it sets. Sometimes it is attracting leads (potential customers), but most often affiliates are rewarded only when a sale happens. 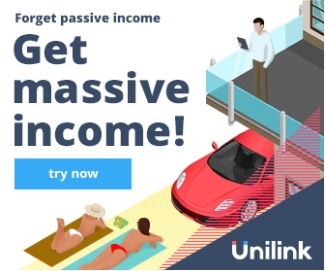 You can make tons of money creating affiliate networks in niche markets (where the competition is not that fierce) as well as in the most crowded popular markets, where you have to race with a lot of people to earn your money. For some reason, affiliate marketing is often viewed as something apart from every other aspect of brand promotion and marketing, that is just a question of finding an affiliate or two and putting up a sales page. The reality is that, as with any marketing effort, it takes hard work and time investment to get anywhere. Affiliate marketing works best when building relationships with affiliates, working together as a team, that includes providing the support they need, including regularly updated materials that allow them to deliver new content when required. It takes time, and it takes the effort to succeed in affiliate marketing, for both vendor and affiliate. The idea goes, that to succeed in affiliate marketing, you just need as many affiliates as possible. The more people promoting your offer, the more successful you will be. That may sound logical, but in practice, not all affiliate marketers will deliver results. Some will not deliver anything. Finding the small number of key affiliates who can reflect brand values and deliver revenue is not only easier to manage, it protects your brand in a more controlled environment. You can build relationships with those smaller number of partners, and that results in a more effective, efficient affiliate program for all. I do see this one a lot, as Google has adjusted what it considers valuable in its search rankings, with content weighted higher than just links, the idea is that affiliate marketing is no longer relevant. However, if anything, the new content led approach rewards the best affiliate marketers who deliver meaningful content to support their audience’s buying decisions. Far from dying, affiliate marketing is thriving and will continue to do so into the future. Of course, while highlighting the reality in relation to these myths, this does not mean that everything is perfect within the affiliate marketing industry. There have been issues with affiliates ‘playing’ systems to generate profits without providing the increased revenues that vendors expect, and in addition, affiliates using unethical promotion practices to gain clicks could damage your brand image, but in both cases, the key is a careful choice of affiliates. Always remember, the affiliate does to some extent represent your brand when promoting an offer, and so ensuring that each affiliate acts ethically and honestly should be paramount to any affiliate program. With that being said, affiliate marketing today is an established, effective marketing program that provides an additional sales channel for your business in a cost-effective way.